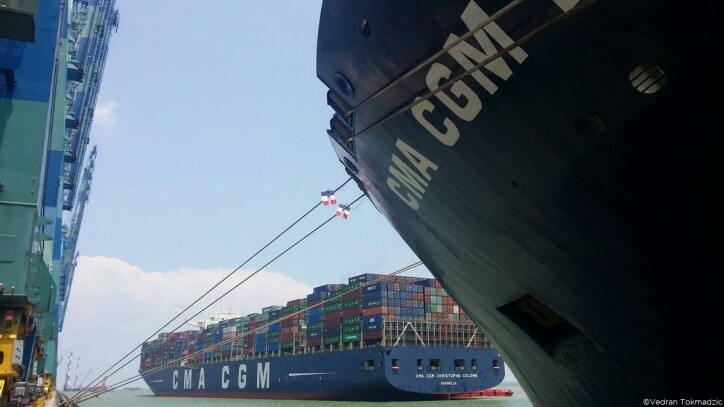 As the planet celebrates the World Environment Day, CMA CGM Group, a leading worldwide shipping group, reiterates its commitments on the fight against global warming by improving the performance of its ships. Operational optimization of the fleet thanks to the work of the exports of CMA CGM Fleet Navigation and Support Center. Technological innovations such as the bulbous bows that improve the ships’ hydrodynamics. The chartering of modern giant container ships equipped with new efficient technologies. The Group also launched the eco-container program, creating containers friendlier with the environment. Improved performance in the years ahead will come through the application of new technologies, including the use of alternative fuels such as liquefied natural gas thanks to partnerships with energy groups such as Total and Engie. Additionally, the CMA CGM Group offers premium services “Carbon Footprint” and “Ecocalculator” to its customers that calculate carbon emission per shipment enabling them to update the footprint onto their own balance sheets. The CMA CGM Group has been rewarded for its transparency in the fight against climate change by the Carbon Disclosure Project in 2015 with the grade of 92/100, which was renewed in 2016. The CMA CGM Group is also a historic and active member of Clean Cargo and an adhering member to the “blue charter” of Armateurs de France, two initiatives seeking to encourage good practices in the maritime sector.